All content on this blog is © Wendy Turner. Feel free to use my ideas for your personal inspiration, but please refrain from using my original artwork for use in publications, submissions or design contests. 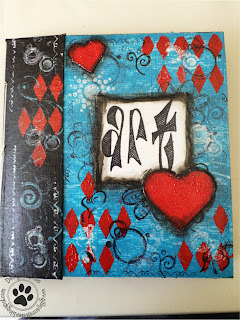 I wanted to share an Art Journal page I did today. Some of you who know me or have been on FB know that this is the week my son started College in Fl., and reasons out of our control we weren't able to be there. Needless to say I haven't been happy not being able to see Brandon off to college, but at least I've been able to see all the photos he's posted on FB! I haven't talked to him since last Saturday before he moved in, but I'm hoping he calls this weekend! I'm so proud of him, he was offered an amazing scholarship to Rollins that made him able to attend, so we are very thankful for that, but he also earned it, he's determined and has his goals set high. He also received the Bonner Leadership scholarship that just a handful of kids get and I know he is going to do great things. It looks like he's been having lots of fun in the retreat they had for those students, thank you FB!!! Yesterday and today was move in for all students & orientation for both students and parents & the Convocation was today, Brandon was chosen to hold the flag. I sooo wish I could have been there, but hopefully my ex-MIL got some good ones. I hope I don't come off as bragging, I'm just so darn proud of him!!!! So, I've had all week off because I was going to be in Fl and I don't start my new job till Monday, so I've had a lot of time on my hands. I slept in most days, done some art and took 2 online classes that are due to expire on Saturday, nothing like waiting a whole year to start! 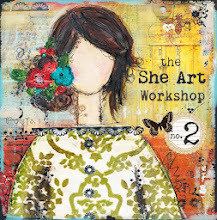 They have been great, they are both Christy Tomlinson, first one was "She had 3 hearts" a journal workshop and the 2nd was "She Art". 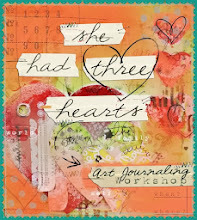 I've done some art journaling & I think I will start a girl soon. 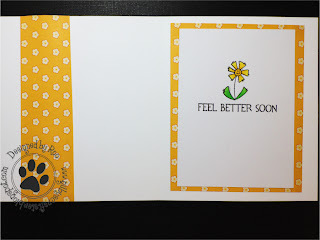 I got off my pity party today finally and decided to start and finish an art journal page about my week of emotions and Brandon's new adventure. 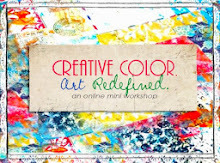 I got the inspiration from watching a you-tube video by "StudioJanine", I love the colors & the words. I changed it up my own take on it, but the colors & layout are pretty much the same. I did write down all my feelings first on the page & then went from there. I'm pretty happy about how it turned out. 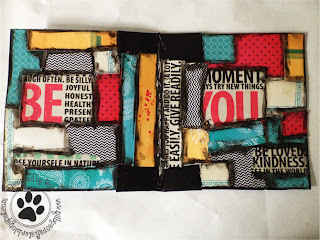 I just love art journaling, it's just a great way to get everything out on paper & play! As always, Gilby and I love your comments, his tail just wags away when he see's me smile! I know it's been such a long time since I've posted anything & I apologize to my followers. Lot's going on this year with my youngest Graduating from Military School. Very exciting year for Brandon, he Graduated with Honors & was the Salutatorian, he also got a VERY GOOD scholarship to Rollins College in Florida. The "Empty Nest" syndrome has already set in, as he left 2 wks ago to work & then attend College. I miss him so much, I can't hardly stand it, but I'm very excited for him & what the future holds for him! It only took 1 Cereal Box-I've been on a "Krave" kick lately-just straight out of the box! 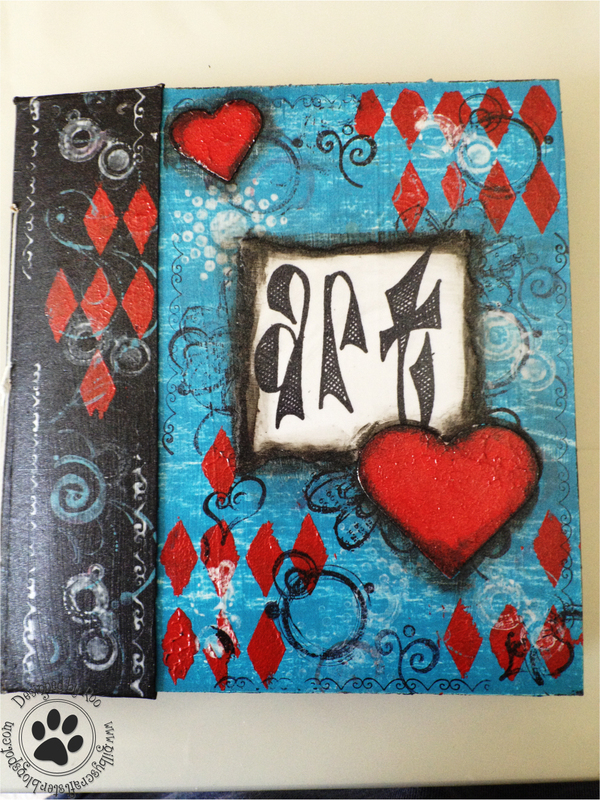 Used a bunch of 6x6 Paper Pads, Acrylic Paints, Distress Paints, Archival Inks, Stamps, Stencil, Gesso, Modeling Paste, Decoupage, Spray Glaze, Tags, Mixed Media Paper, Waxed Thread & Leather Needle. As always, Gilby & I love your comments...his tail just wags away when he sees me smile! Isn't this just one of cutest little girls ever?! Her name is "Harper" By LORI Designs the little doll comes with her as well. I remember seeing pictures of my sister when she was little & Harper looks just like her. She's not a little girl anymore, but I think there is still a little girl in all of us girls. Digi Stamps-By LORI Designs-"Puddle Jumper, Harper"
Thanks for stopping by & wish us luck! I didn't have any red lipstick & my lips are kind of chapped right now, so I thought PS's little lip stamp was perfect for the little love note. I'm entering it into Paper Smooches current challenge, where it's all about Hearts & for their March Guest Designer position. Love & Lips "Bee Mine"
Postage Stamp & You.-The Stamps of Life "Postage to Stamp"
Pattern Paper My Minds Eye "Love You"
Apparently you can't use linkitz Inlinkz twice for the same post. 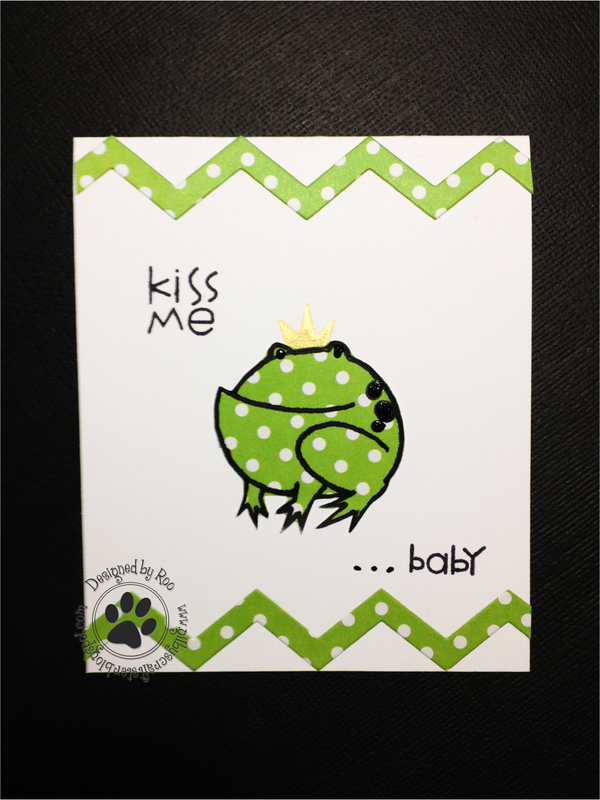 So, here again is the 2nd card, that I'm entering into the SPARKS Paper Smooches Challenge (POLKA DOTS) & the chance to be Guest Designer for March. Again, I used the super cute PS set "A Little Lovin". Wish Gilby & I luck! Can you guess what the Challenge was? 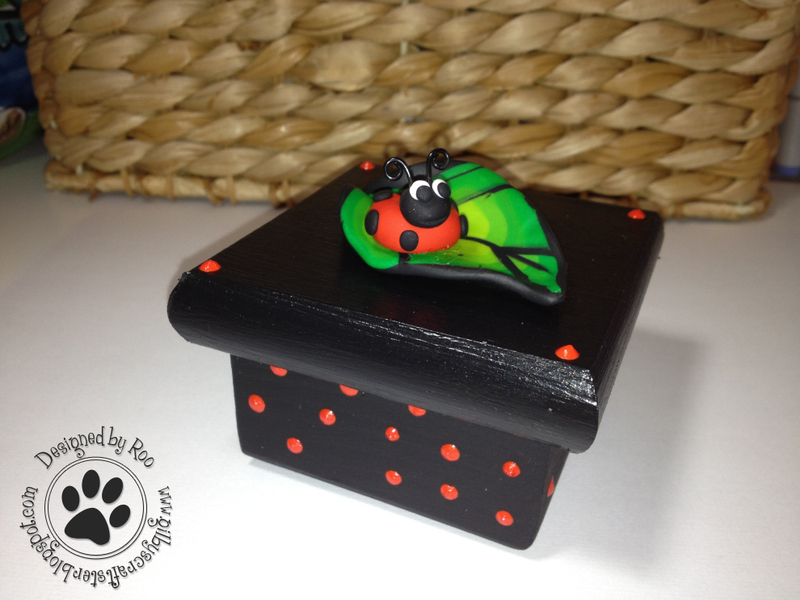 You guessed it.......one of my Favorites....POLKA DOTS!!!! 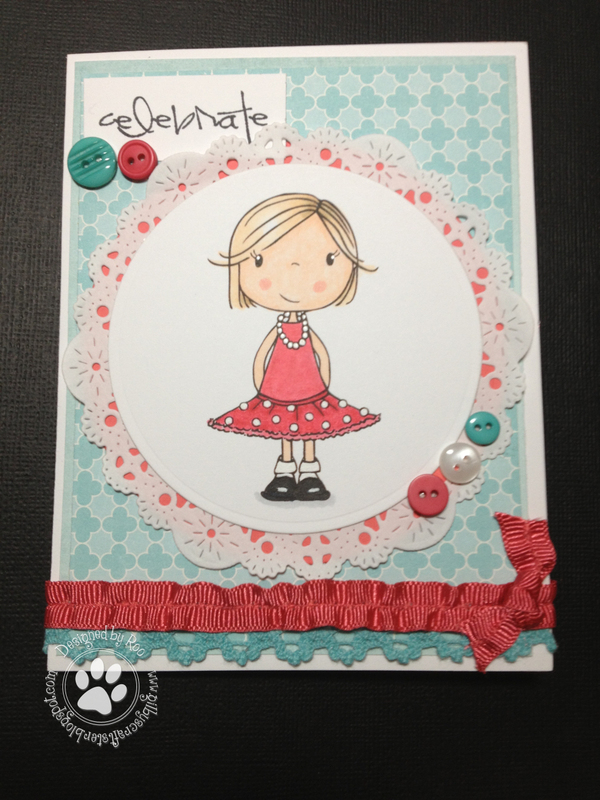 I had lots of fun with this challenge & using my new PS stamps!!! 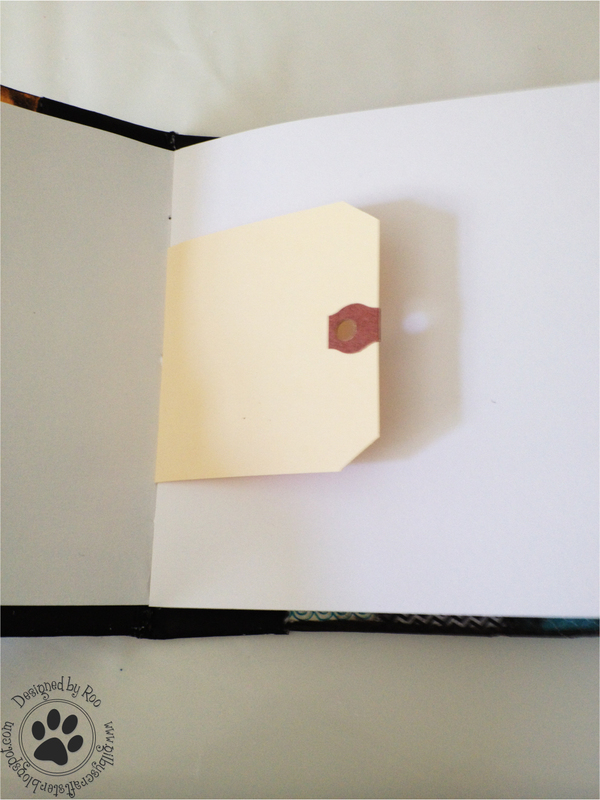 I also tried Washi Tape for the first time & I can see why everyone is so crazy about it! As always Gilby & I love your comments....his tail just wags away when he sees me smile! Can't believe it's been over 4 months since I last blogged! I really didn't do much blogging or creating last year, but this year I hope to do better, no promises though. ;-) Sometime life just gets out of control & other things take priority. 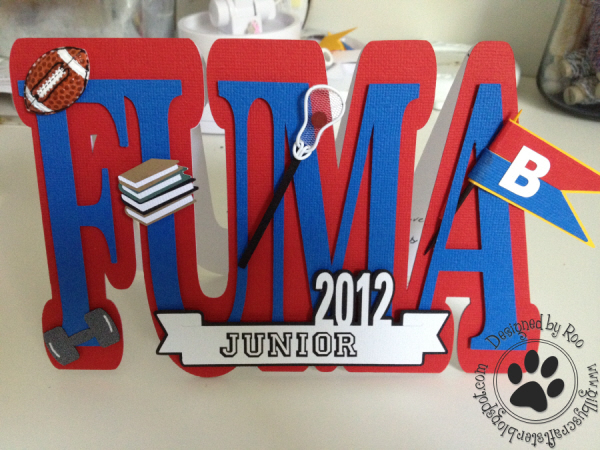 It's probably a little late for this, but I wanted to list of some of my favorite projects of 2012. I think normally you have a list of like 12, but I'm not even sure that I made 12 projects! So here are my top 6 projects of 2012. 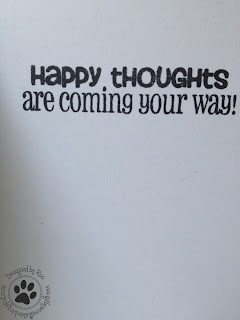 Okay, so there it is my first blog post of 2013! I'm sorry it has taken up until now to get this posted, but the winner of Gilby's little bag of doggie treats go to lucky #7, Shar! I will be contacting you for your info. Promise to have more creations coming soon! 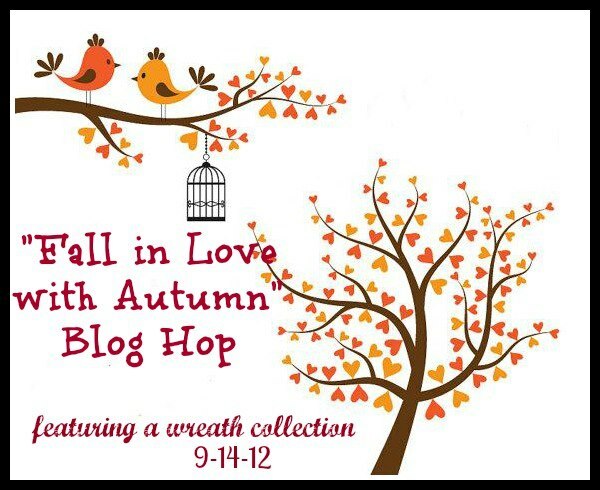 Welcome everyone to “Fall in love with Autumn” blog hop. Ok, so a walking we will go...if you came from Tayna's then you're in right place, if not then you may want to start from the beginning at Misses Crafty's . The complete line up is listed at the bottom in case you get lost along the way. I've seen these yarn wreaths & t-shirt flowers all over Pinterest, so I thought I would give it a try. This will be an indoor wreath since our front door is exposed to the elements. Sorry, for the bad pictures. Next up is Janea, but before you go wandering off, you'll probably want to read about the Blog Candy aka "Doggie Treats"
I had a lot of fun making this & will definitely make another one after my slight little learning curve. 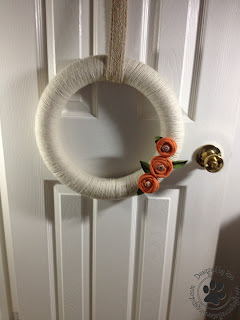 To make the wreath I used a styrofoam wreath which I bought w/a 50% off coupon, otherwise they are too expensive. Yarn of course, an old t-shirt I got from the thrift store a while back (for this purpose), some canvas from an old apron, which I sprayed green w/a mixture of green fabric paint & water then heat set it with an iron, some buttons I was going to use for another project (still have more), an old belt for the hanger part & glue gun. I was so thrilled with myself when I came across this belt, it's perfect because you can adjust the wreath to has as low or as high as you want. 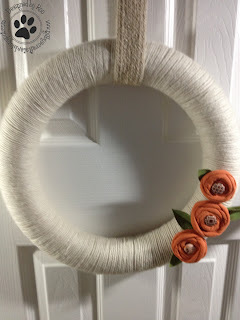 Found an old one of my son's that I can totally use for another wreath. Think belts are going to be added to my list of thrift store wants. 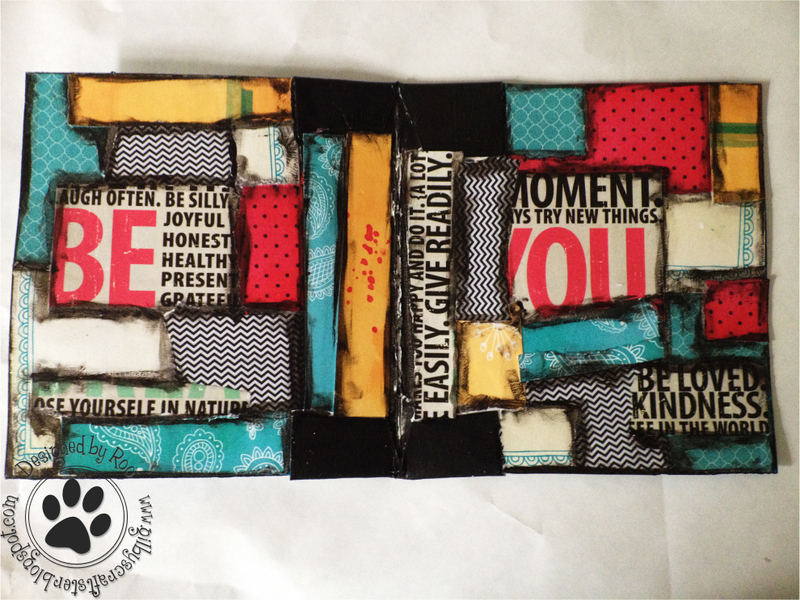 Hope this inspires you to make one! Lluvia aka Misses Crafty, who put this hop together has some yummy "Doggie Treats" up for grabs. 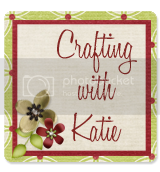 She is offering up a $20.00 gift card to Michaels or Joanns! You choose! The rules are as follows; you must become a follower of each blog and leave a comment on every stop. Winner will be selected on 9-17-12. 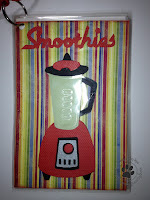 Gilby & I have a little something too, we can't do a blog hop "Doggie Walk" without giving away a surprise Doggie Bag! We will pick our winner on 9-17-12 as well! 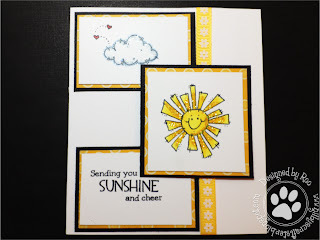 I have another card to share with you today using the same stamp set I used yesterday. 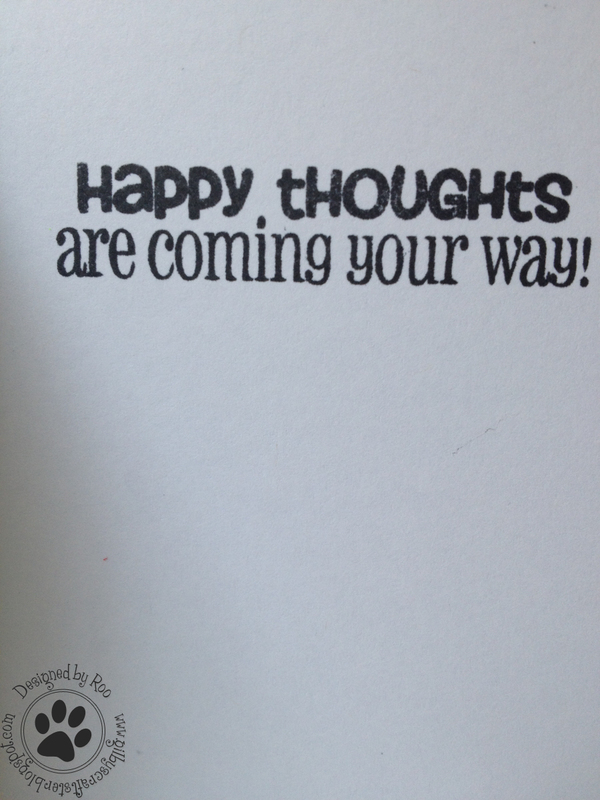 There are a lot of people in my life going through different things, that I thought this would be good to have on hand, actually I think I already know who I'm going to send it to! As always, Gilby & love your comments...his tail just wags away when he sees me smile! Have been making several Get Better Soon cards, so I thought I would share another one with you. 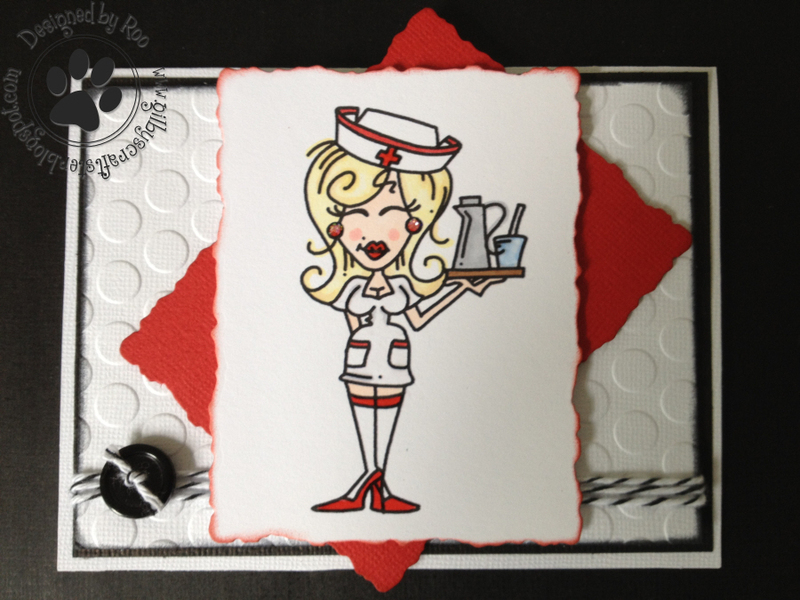 I'm not going to share who I made this card for or the reason, as she could see it from following my blog. Let's just say it's someone whom I love very much & who has been through a lot this year! 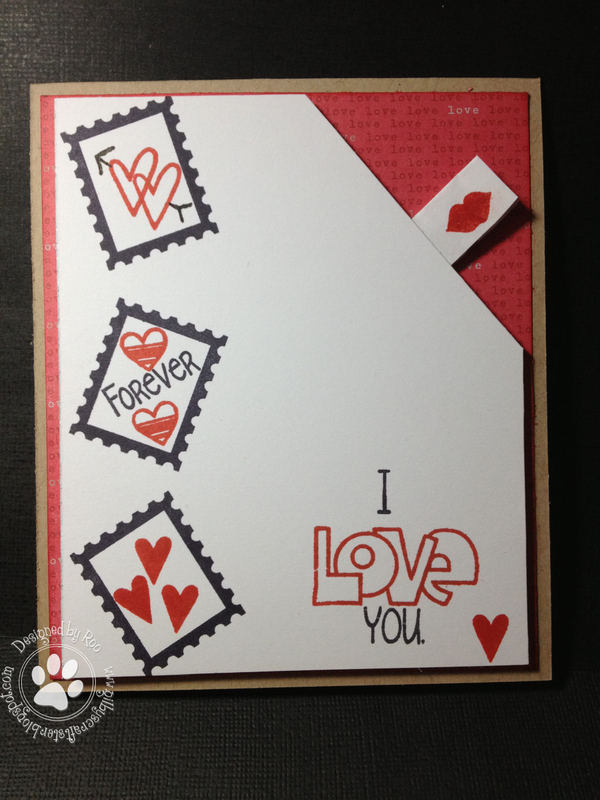 It was a great excuse for me to play with this OCL stamp set that love, but have never used before. You have never tried OCL "Our Craft Lounge" stamps you should, they have some of the cutest stamp sets, they stamp really well & the packaging is one of the best. There is a button to the left on my blog that will take you to their site. No, I'm not saying all of this because I'm finally entering one of their challenges, it's truly how I feel! 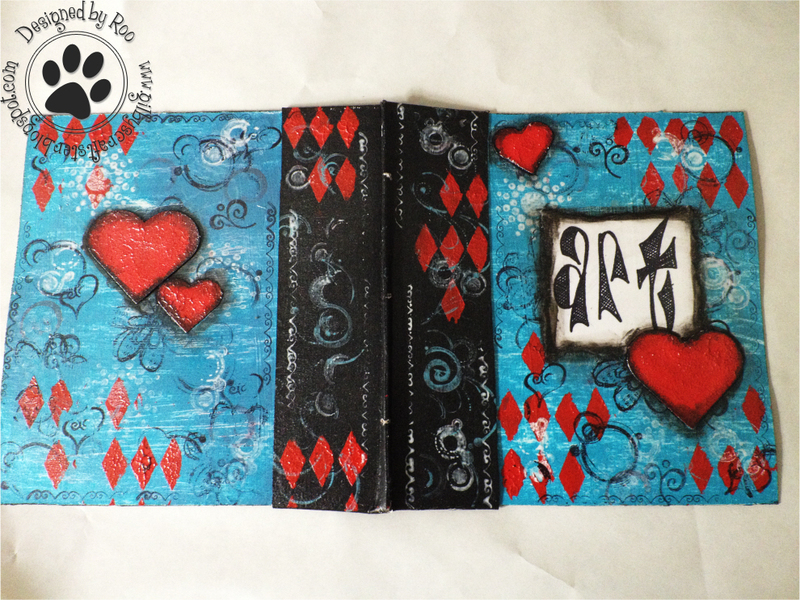 It's a Big card, don't remember the measurements, but I had to make a special envelope for it. Pattern Paper-Cosmo Cricket "Garden Variety"
Back In The Card Making Saddle Again! 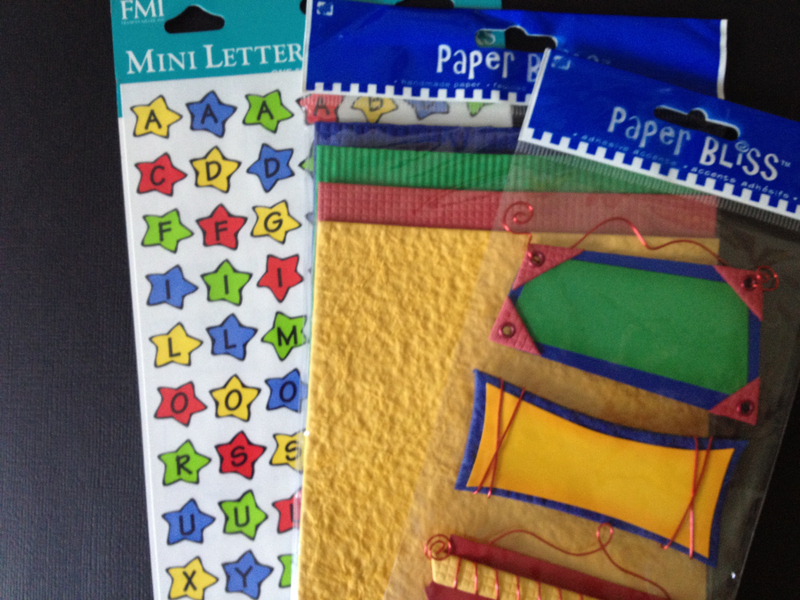 Have kind of had mixed feeling about card making & paper crafting lately. I had this whole thing typed out explaining why, but I thought what was the point? It just brings up more hurt feelings & what's done is done & I need to move on. Let's just say that the 2 people in my family (hubby's side) will now be getting cards that my hubby picks out for them, just as they want. 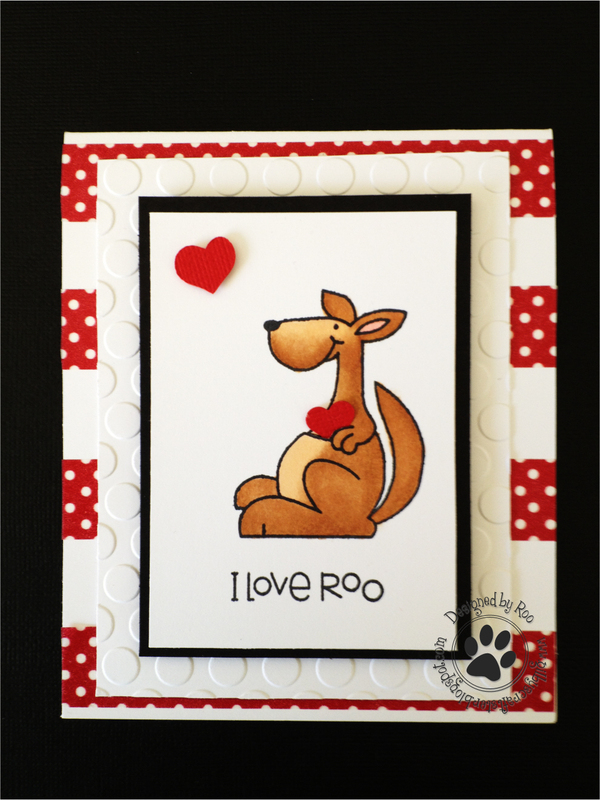 I had decided to sell a bunch of my stamps & stop making cards completely, I have so many hobbies as it is, but that didn't last long though, I'm not going to let this get me down anymore. I enjoy making cards, I just may not make as many as I've made before. 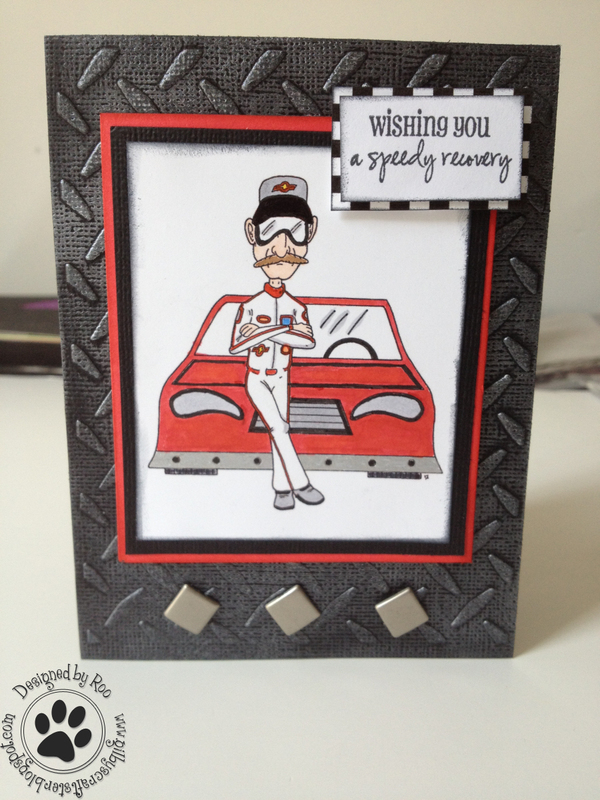 Enough of all that, today I'm sharing a card I made for a friends boyfriend who is extremely lucky to be alive, it is a true miracle that he is still with us. It's going to be a long hard road for him, but, I know he can do it, he has so many people praying for him. I actually witnessed the power of prayer & how amazing God is! Instead of a somber get well card, I thought I would make a fun light hearted card that would hopefully make him smile a bit, plus he's a big Dale Earnhardt Jr. fan. 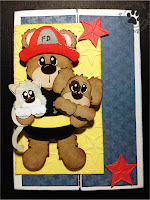 Creative Craft Challenges 2 "All About The Boys"
Hooked On Crafts "For Men"
As always Gilby & I love your comments...his tails just wags away when he sees me smile! 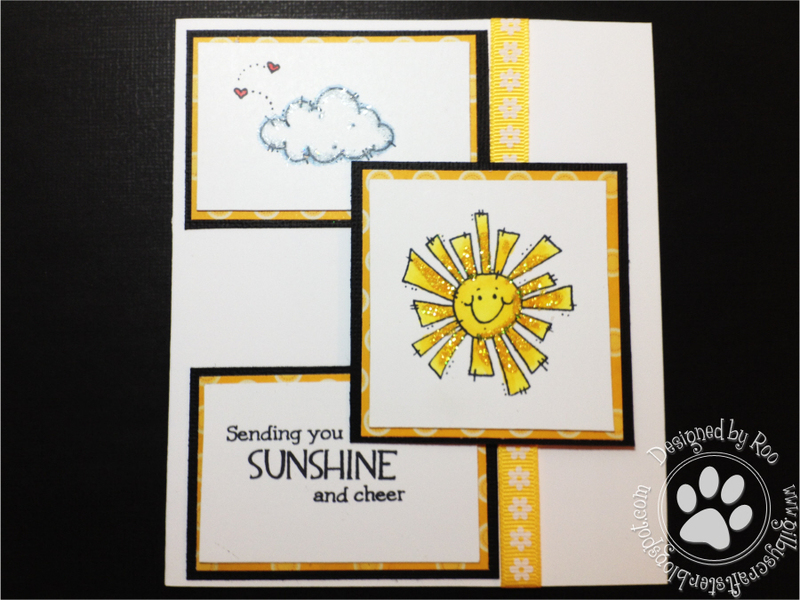 Welcome to another Freebie Friday! Here is a list of some of the more Coolio & The Gang Freebies/Sweepstakes/Deals I have come across this week. I hope you are able to take advantage of some of them & if you end up winning one of the Sweepstakes, Gilby & I would love to hear all about it! This is our last weekend with Brandon, before he starts his Senior Year on Tuesday! I can't believe the summer is already over for us, he goes back early because his Football team needs to get ready for a game they are playing on 8/25 & is being on ESPN 8/25. He is soo excited & has worked soo hard this summer working out (everyday)! We have been visiting colleges this summer & he got his license as well, so I guess that's another reason why it has seemed so fast. Military is not like Puplic School where you at least get part of your Drivers Ed there (back in my day-you got both behind the wheel & drivers ed). So it took over a month to finish both & was not cheap! Anywhoodle who, his first leave weekend isn't until October, so other than Football games I won't be able to see my Bubba until then. Even though I get very sad at this time of year, I am soo thankful to have been able to spend almost the entire summer with him. 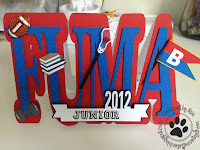 This time next year he will know where he's going to College & we will be getting ready for that & then the "official" Empty Nest Syndrome will take place, although it has seemed that way since he started FUMA 5 years ago & because his older brother left for the Air Force a year before then. It's Unbelievable how time goes by soo fast! So, this weekend will be full of last meal requests...LOL- Steak Salad, Chicken Salad Croissants, French Dip & probably a Steak Dinner out. The boy loves him some Salad & Steak. Will probably visit Sweet Frog (frozen yogurt place) again :) going to see the new Batman movie AND the rest of the time will just be spent chilling with Gillby & probably watching the Olympics. Go USA!!! Go to the "Freebie" Section & there's a spot for you to sign up to get exclusive Freebies! Fancy Pants has a cute "Little Sport Photo Frame"
Feel like I just got the gold medal for finding this LOL, BrokenBoxStock has pages of Free Digi Stamps AND they are Adorable!!! Dustin Pike has a cute Scarecrow & Pumpkins, both colored Digi & non-colored. 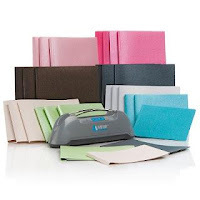 Free Clark & Kensington Paint Sample at Ace, Printable Coupon. Sat 8/4 only. One of my Favorite Stamp Companies "OCL" short for Our Craft Lounge is having their final release party with lots of blog candy. Today is the last day to get your comments in! I don't know about you all, but I LOVE Churros, you can enter to win your very own Churro maker here. Sorry for the delay in announcing Gilby's Birthday/400 Followers winner-we have been out of town & are getting ready to leave again. Congrats Vannessa! Gilby & I know you are just going to LOVE your Doggie Bag!!! Please email me with your 411. 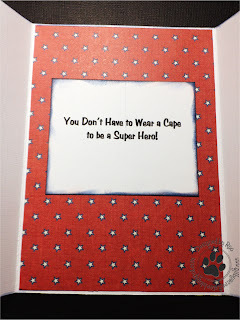 Now, on to the winner of the Super Hero Blog Hop. The winner is mamawcindy! Congrats! Please email me with your 411 as well. Gilby & I will be back soon! Daa, Daa, Daa, Daada Daaaaa!!!!! Welcome to The Super Hero Blog Hop!!! How did you like my intro, not bad huh? That was all Gilby's idea. 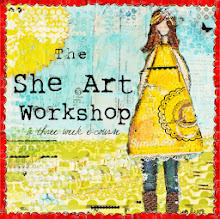 ;-) We are Super Excited to be part of this Hop, so thank you to Ruthie & Candace for inviting me!!! 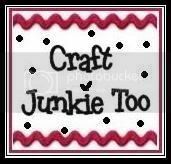 You are in for a fun Hop today, lot's of Super projects & Doggie Treats (prizes)!!! 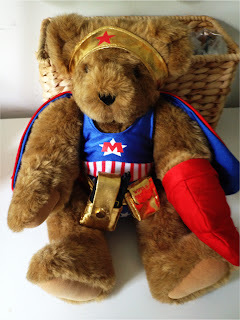 You may even be able to find your own Hero along the way ;-) So,if you came from Yolanda's blog then you are in the right place, if not & you would like to start from the beginning then you need to Fly on over to Candace's Blog! 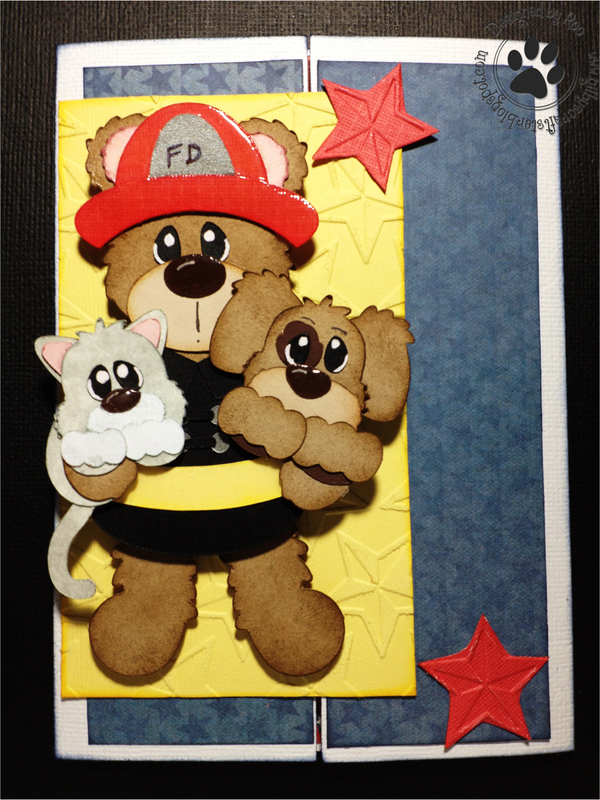 Today, Gilby & I wanted to create a project for the everyday Super Hero, so we decided to make a card for one of the Best Super Hero's out there; Firemen/women. They risk their lives everyday to save ours, including our fur-babies, I can't think of anything more Heroic that that!!! 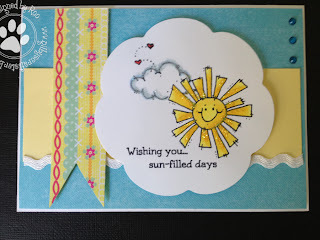 We found this Super cute SVG over at Paper Piecings by Nikki & thought it was perfect! Now, let's not forget the Universal Super Hero's of all time....The Mom!!! My kids got this years ago for me on Mother's Day :-) so I thought I would share! Wipes & Frist Aid Kit, Keys & of course Gum & Candy! Daa, Daa, Daa, Daada Daaaaa!!!!! Time for a Super sweet prize!!! September Ninth Designs is the Big Super Hero today, as she is giving away a "Your Story Photo Personal Bookbinding Kit" to one lucky winner! 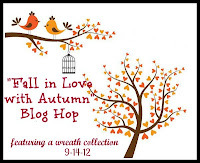 All you have to do is leave a comment on this post, to maximize your chances to win (who wouldn't want to do that), you should leave a comment on each blog in the hop!!! You will have until Sunday night 12pm (PST) to leave a comment. 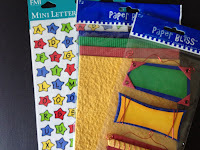 A winner will be chosen at random and announced Tuesday July 31st, SeptemberNinthdesigns.com. 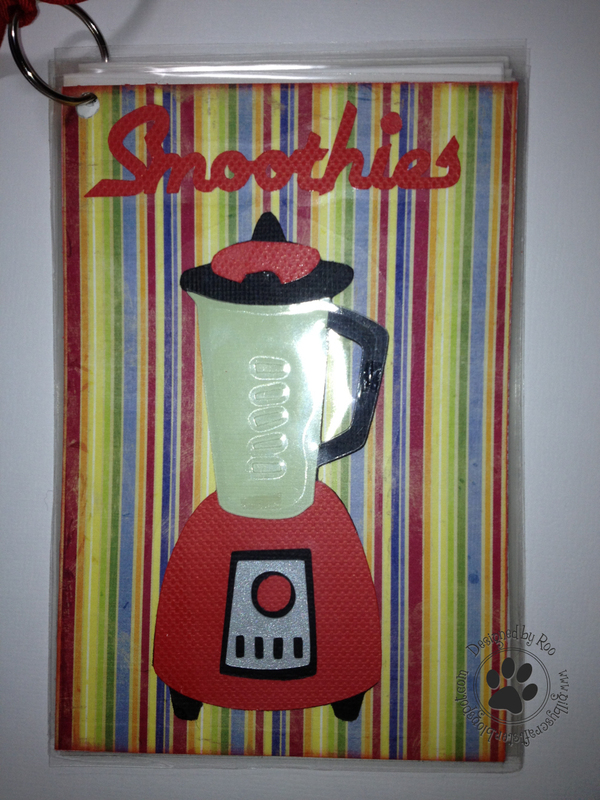 Want a chance to win some more Super "Doggie Treats"? 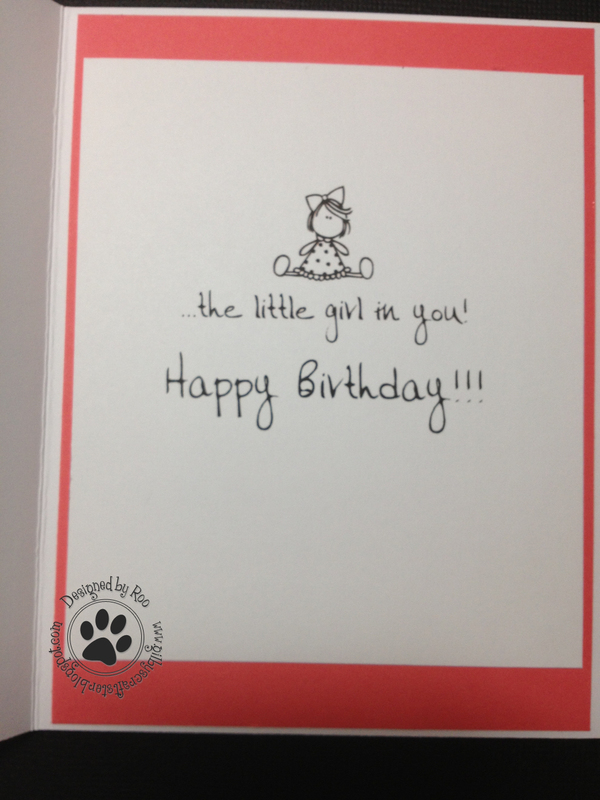 Yeah that's what Gilby & I thought, so we put together this Super cute little Doggie Bag for one lucky winner! e-mails to win, but if you see what you like & you want to, we always welcome new friends! You will have until Sunday night at 12pm (PST) to leave a comment, we will also choose a winner at random, but the winner will be announced some time on Monday July 30th as we are out of town next week. 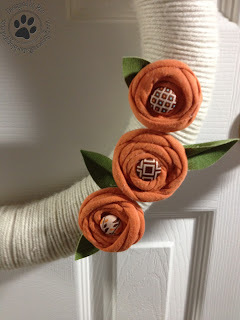 Your next stop on the hop is Michelle's blog , so you can see what kind of Super project she has for you!! !